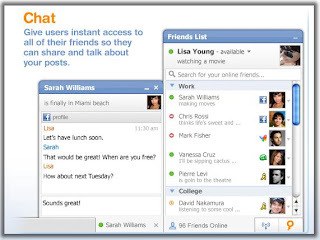 Meebo is a in-browser instant messaging service which supports multiple IM services, including Yahoo! Messenger, WLM, AIM, ICQ, MySpaceIM, Facebook Chat and XMPP. Meebo team recently released a new product called Meebo Bar. The Meebo bar appears at the bottom of your site and it allows your site visitors to sign in to Meebo to chat and drag-and-drop to share photos and videos. If you host your own website or have a blog on Blogger.com, TypePad, Movable Type, or self-hosted hosted Wordpress blogs, you can use Meebo Bar. Blogs hosted at Wordpress.com are not supported at the moment. * Real-time sharing. Your users can easily share your website with their friends through IM, Facebook, Twitter, Yahoo, and email. * Custom buttons for your bar. Choose from a host of buttons to add to your bar. Right now Meebo Bar have buttons for Facebook Fan pages, Twitter, RSS, Youtube, Flickr, and a bunch more. * Personal stats dashboard. See statistics about pageviews, sharing from your site, and which of your Meebo Bar buttons are being clicked, all from your own secure site. You can give other users their own personal login to access the dashboard. * Instant messaging from your site. Your site visitors will be able to chat and share with their IM friends from AIM, Yahoo!, MSN, Facebook, and other networks.